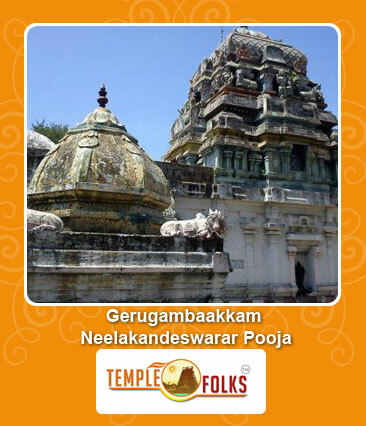 Gerugambaakkam has an ancient temple for Lord Shiva, which belongs to Chozha period. The main deity is Sri Neelakandeswarar and Goddess Sri Aadhi Kamakshi.The main deity Sri Neelakandeswarar is situated in a small and beautiful sanctum. The Lord got His name Neelakandeswarar, as he swallowed the Aala Kaala Poison which evolved during the churning of the ocean, after which His neck turned blue. In Thamizh "Neela" means blue and "Kanda" means neck. 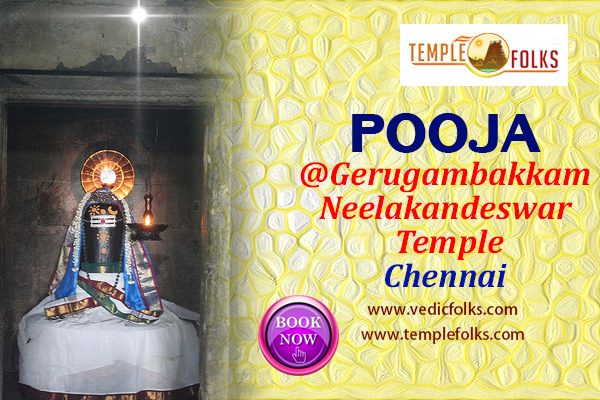 This temple is one of the Navagraha temples of Chennai (or Thondai Mandalam) devoted to Sri Kethu Bhagavan. There is a separate shrine for Kethu Bhagavan on the southern side of the sanctum. Special Poojas and Homams are performed to Sri Kethu Bhagavan during Raahu Kethu Peyarchi. This is also a Parihaara Sthalam. Kethu bhagawan removes the peoples ill effects in their lives because of Kethu position in their Horoscope (Birth Chart).